My mother gave me this magnet several years ago – it has a special spot on my fridge. It is also exactly how I feel every Thursday morning when I have to get up at the crack of dawn to teach at 7:00am. Thank goodness for coffee, awesome students, and the power of yoga. 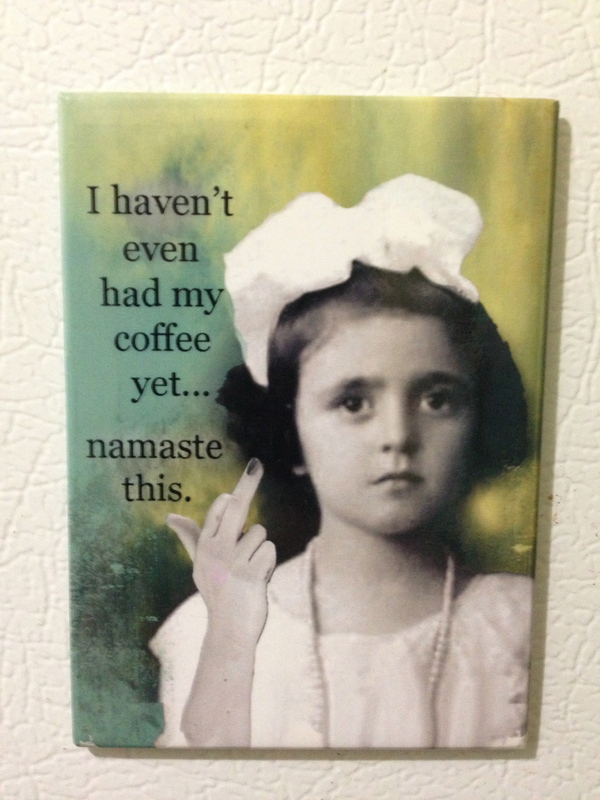 This entry was posted in Uncategorized and tagged coffee, mornings, namaste, yoga. Bookmark the permalink.